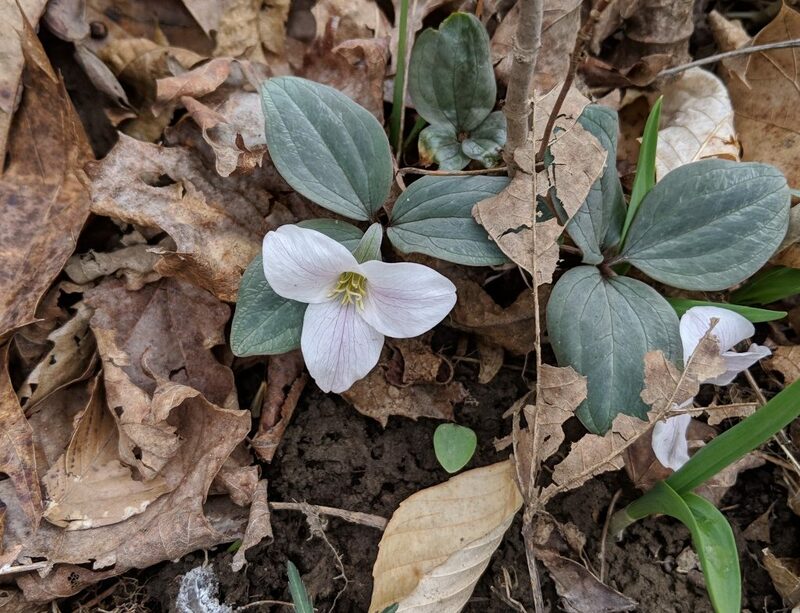 What’s blooming in southwestern Pennsylvania this weekend? 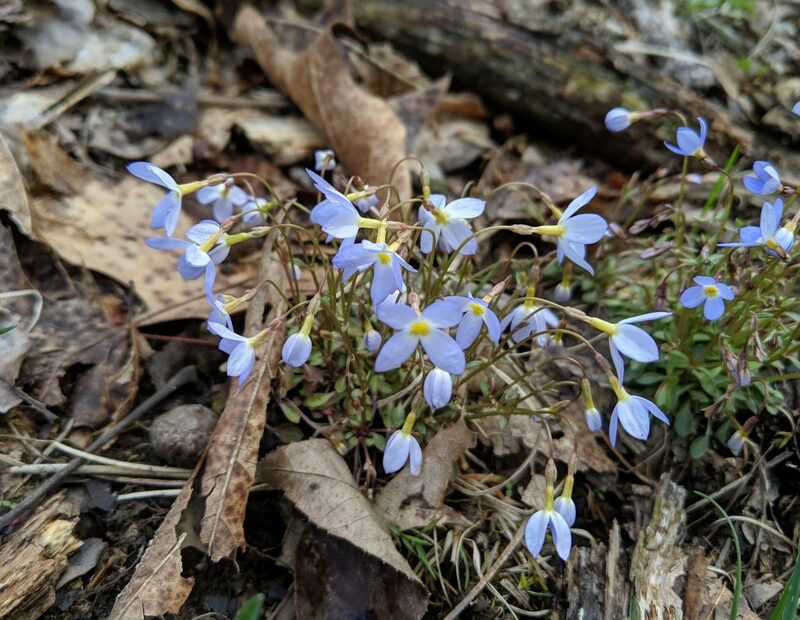 Yesterday’s joint outing of the Botanical Society of Western PA and Wissahickon Nature Club found a lot of spring flowers at Cedar Creek Park in Westmoreland County, 6 April 2019. 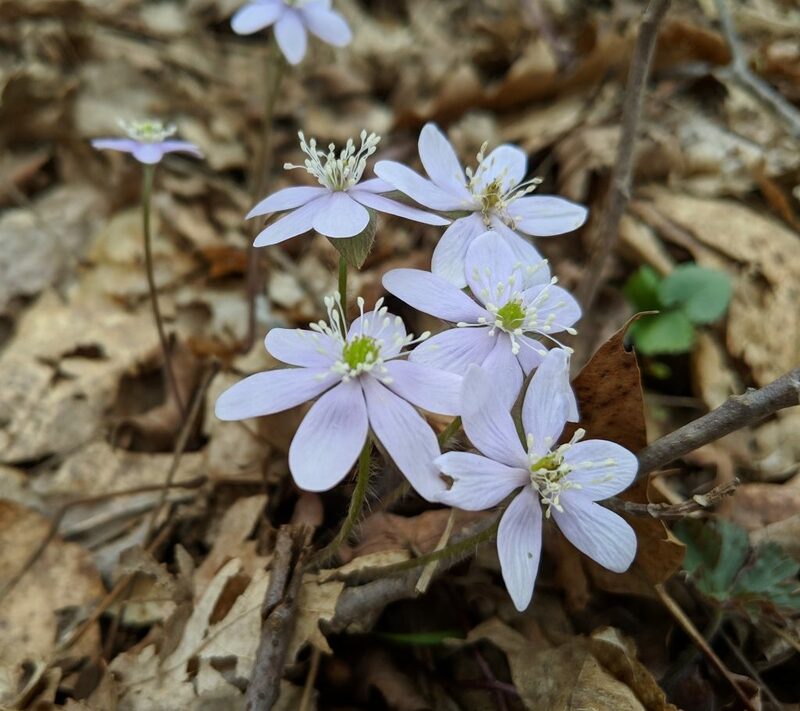 Hepatica was blooming in shades of white, pink and blue. 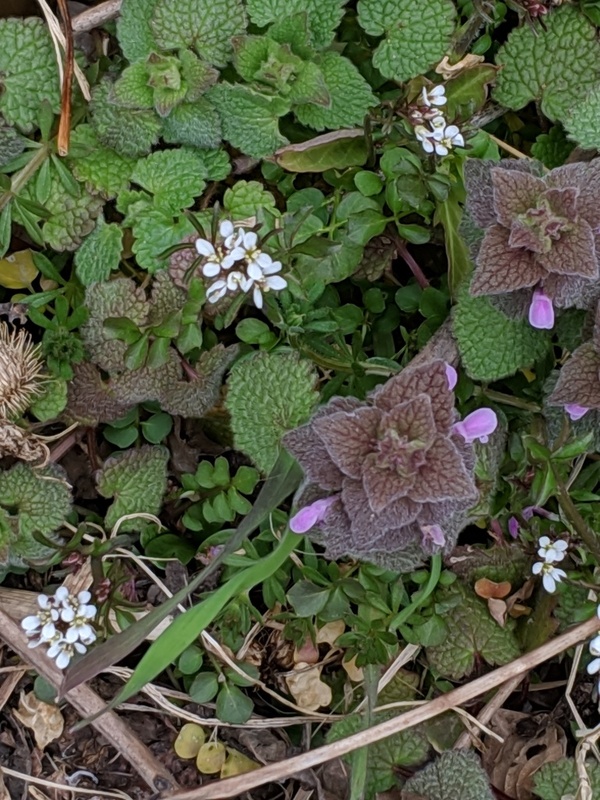 In the photo above, the leaves aren’t visible so I can’t tell if this plant is round-lobed (Anemone americana) or sharp-lobed (Anemone acutiloba) hepatica. 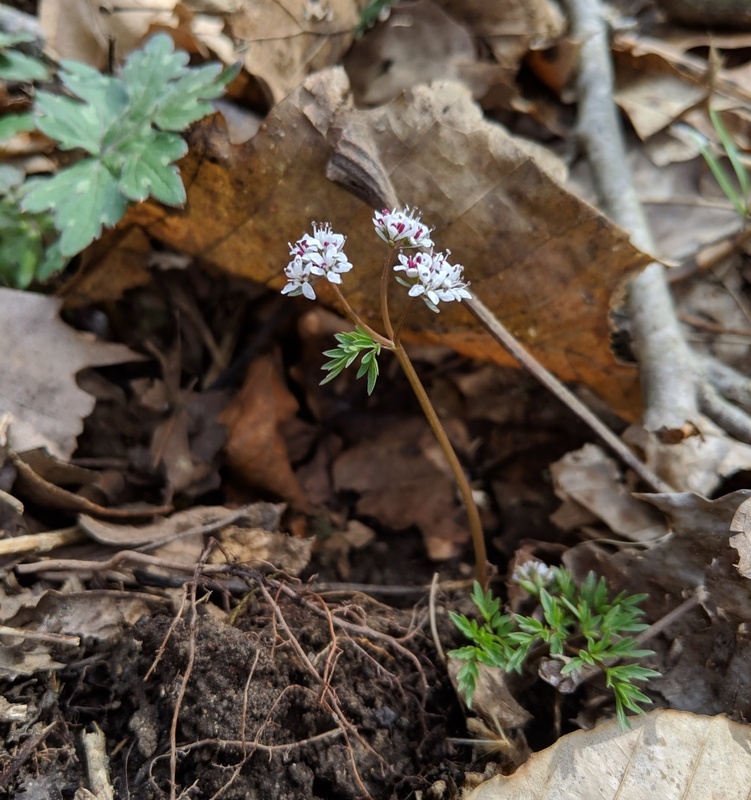 Harbinger of Spring (Erigenia bulbosa) was blooming along the valley trail. 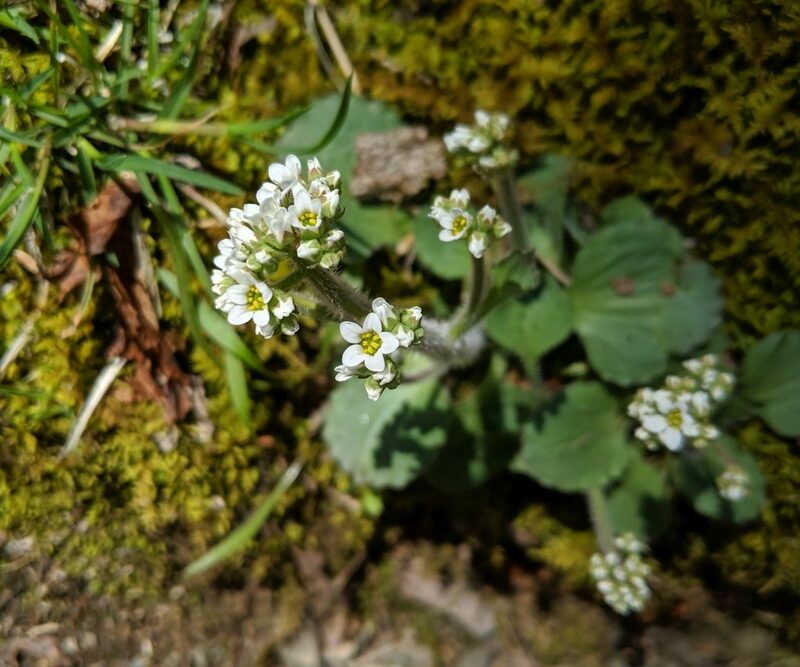 Did you know this plant is in the Carrot family? 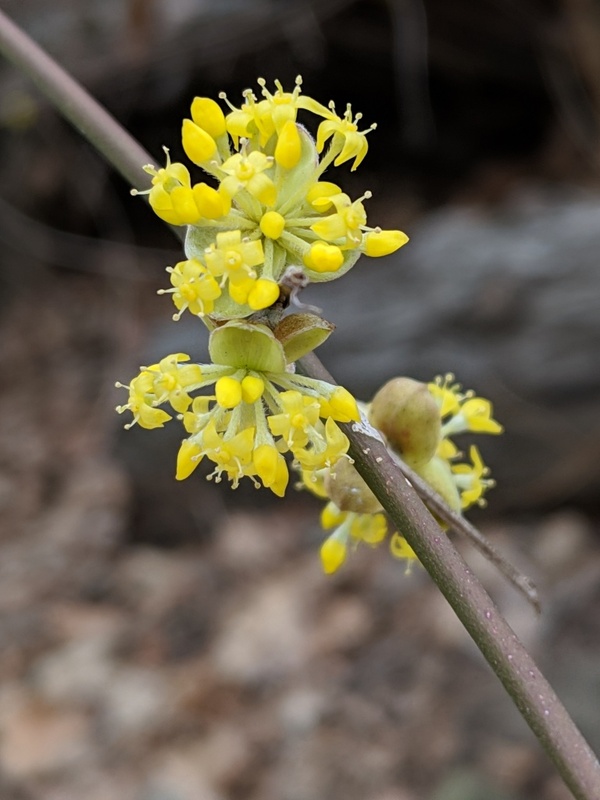 … and spicebush’s (Lindera benzoin) tiny yellow flowers were a nice surprise. 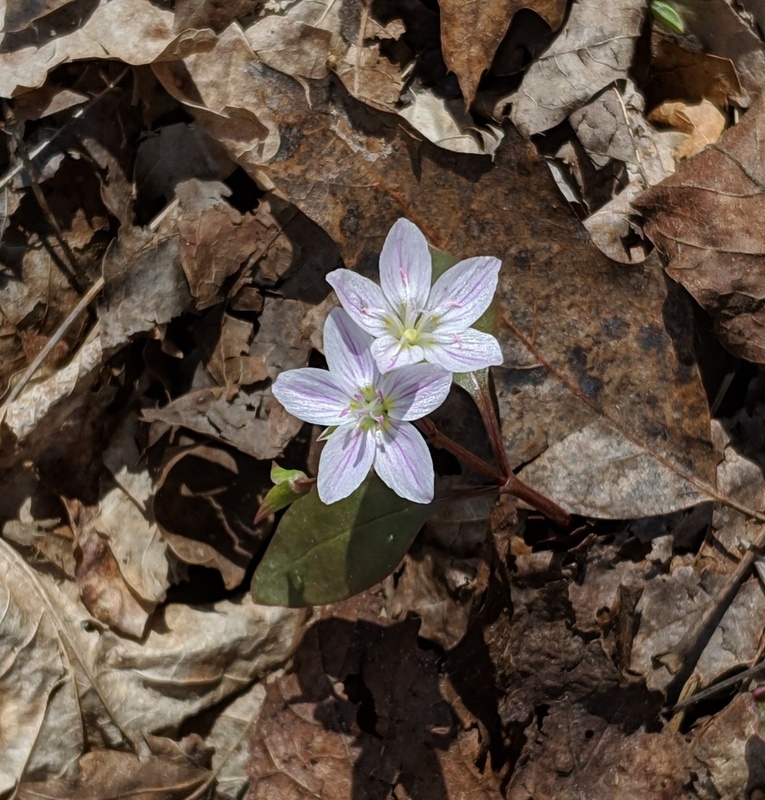 Most of the spring beauty was not in bloom but we found Carolina spring beauty (Claytonia caroliniana), a specialty at Cedar Creek shown below. 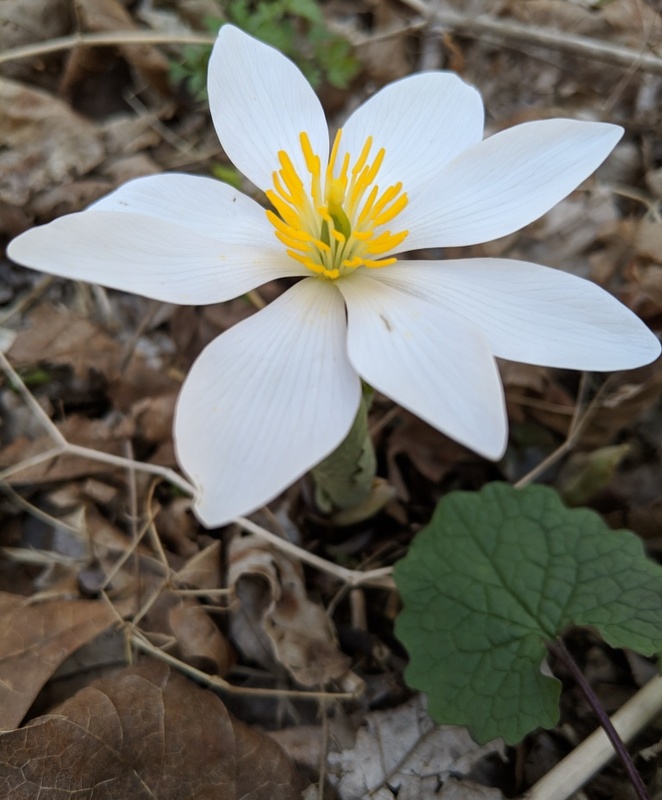 This bloodroot (Sanguinaria canadensis) was bright white by the bike trail. 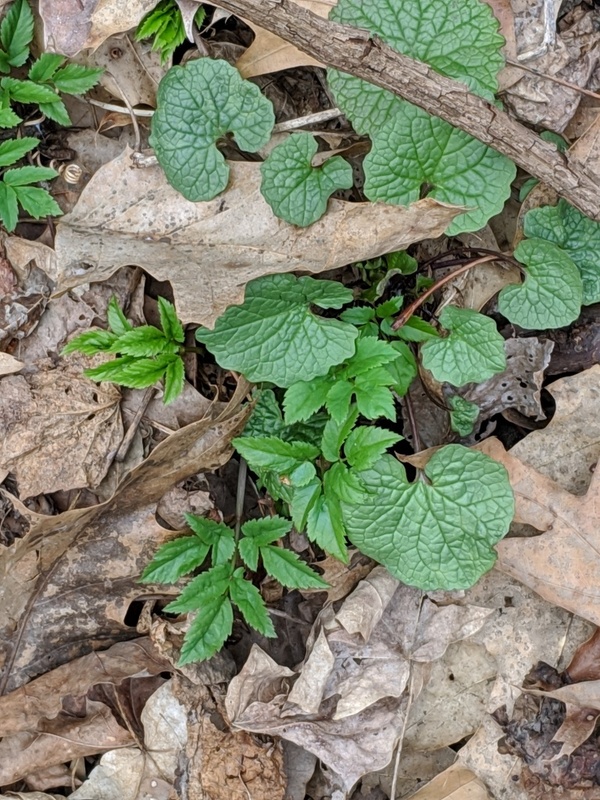 Its leaves are barely visible, clutching the stem, while a garlic mustard leaf tries to photo-bomb the bottom corner. 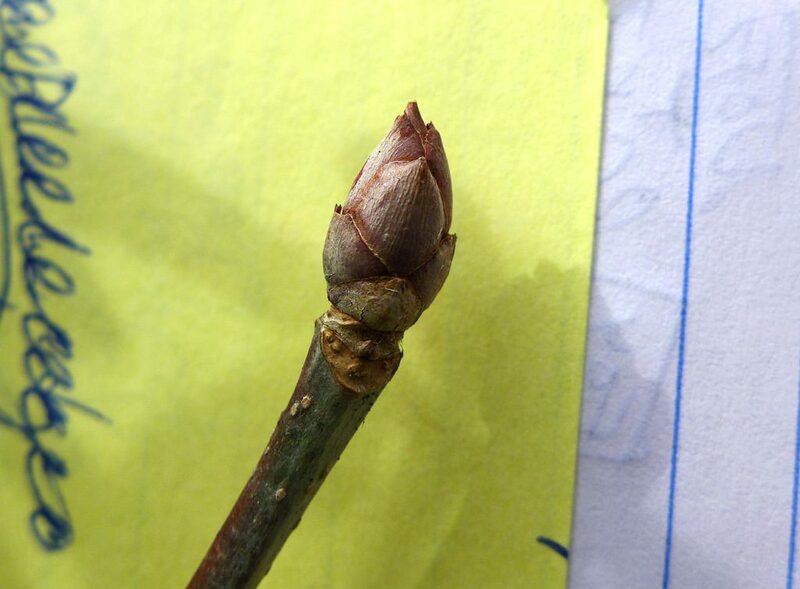 Meanwhile, how are the buckeye buds doing in Schenley Park? 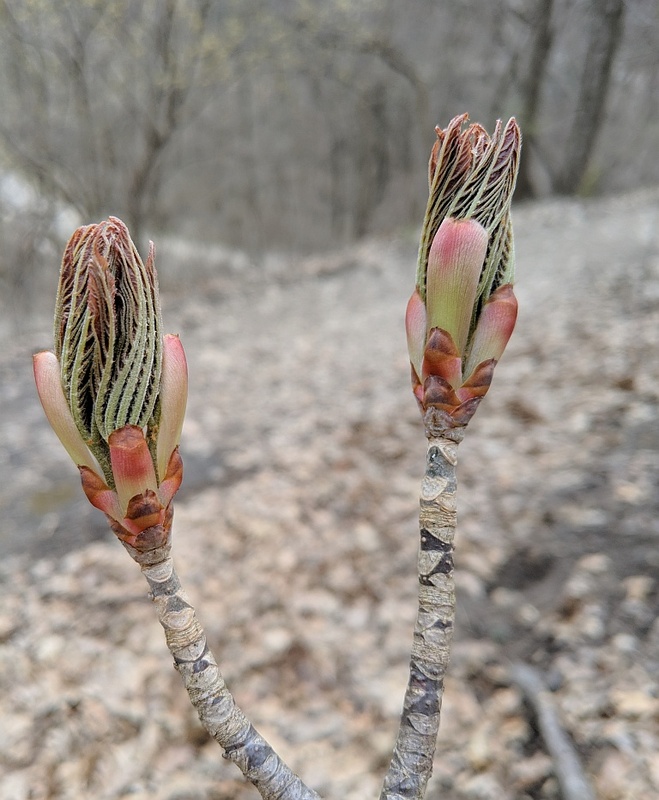 Some were unfurling on Friday 5 April 2019. Note the CORRECTION ABOUT BUCKEYES below! 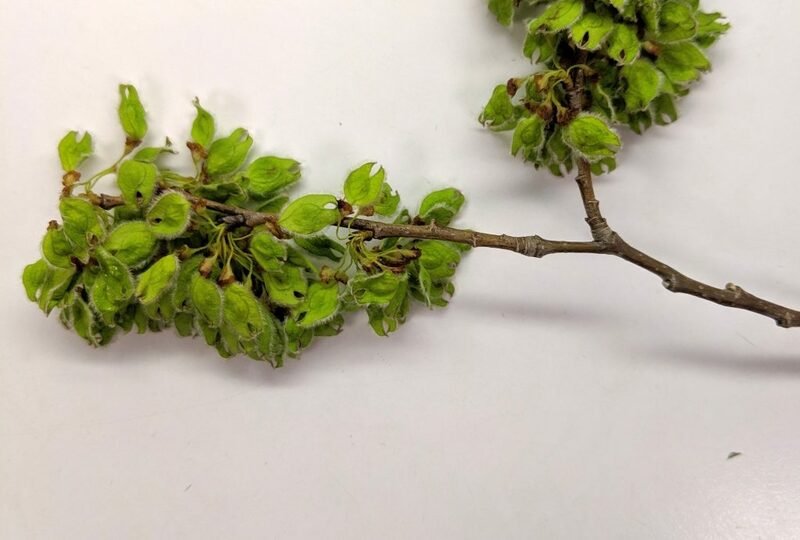 CORRECTION ABOUT BUCKEYES: Last week Stephen Tirone investigated the buckeye buds in Schenley and Frick Parks and learned that these are yellow buckeyes (Aesculus flava) not Ohio buckeyes (Aesculus glabra). 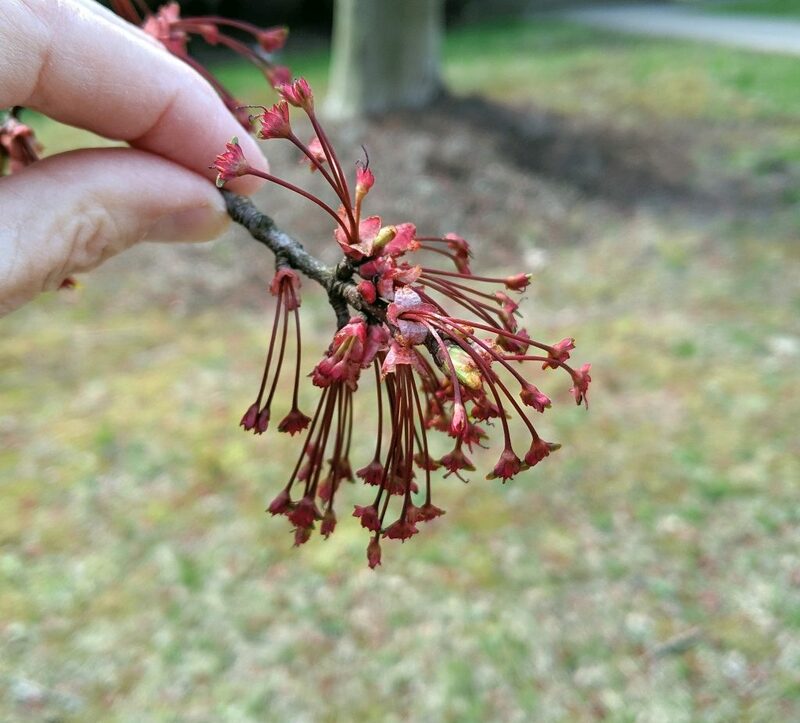 Though Ohio buckeyes are more common in the wild, Pittsburgh’s parks are not “wild.” Schenley and Frick Parks were landscaped with ornamentals when the parks were established more than 100 years ago. 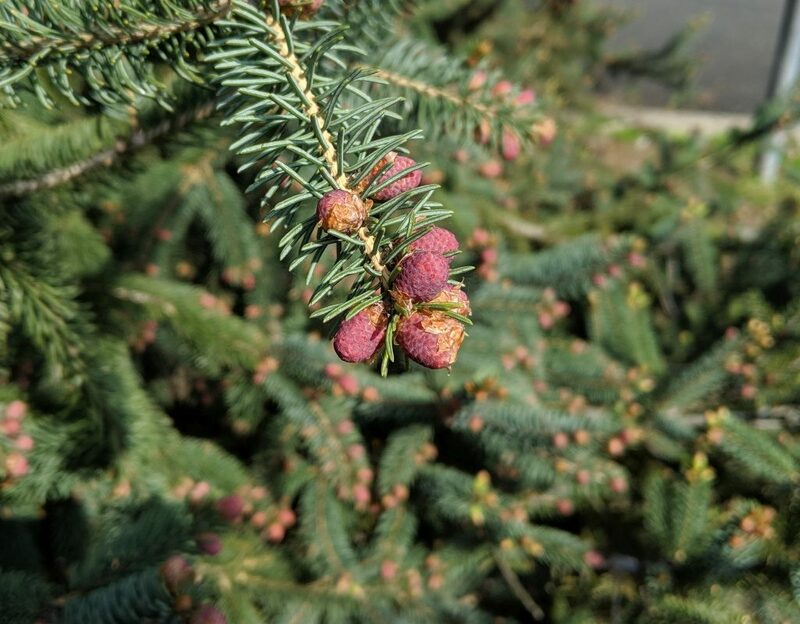 Yellow buckeyes are often planted as ornamental trees and may be hybridized to produce showy flowers. So, yes, these are yellow buckeyes. 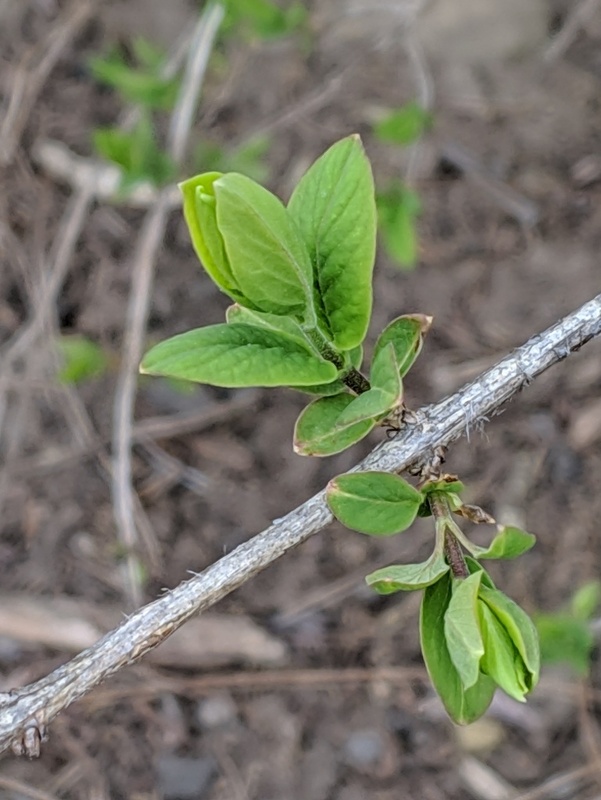 Spring is fire season in Pennsylvania. 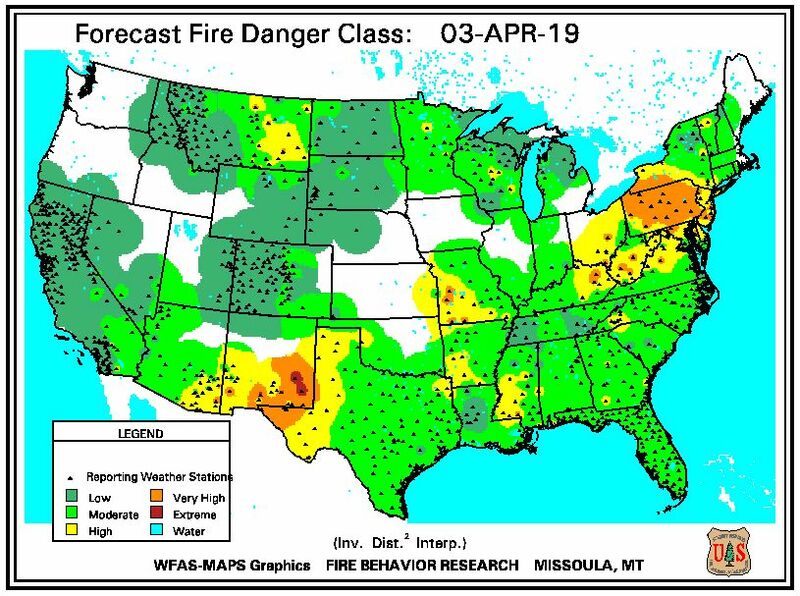 85% of our wildfires occur in March, April and May. 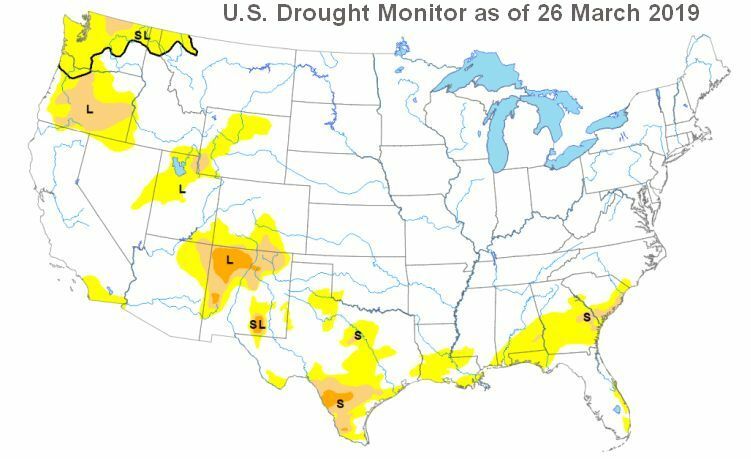 There’s no drought in Pennsylvania right now, nor in most of the U.S. — as shown on the map below. 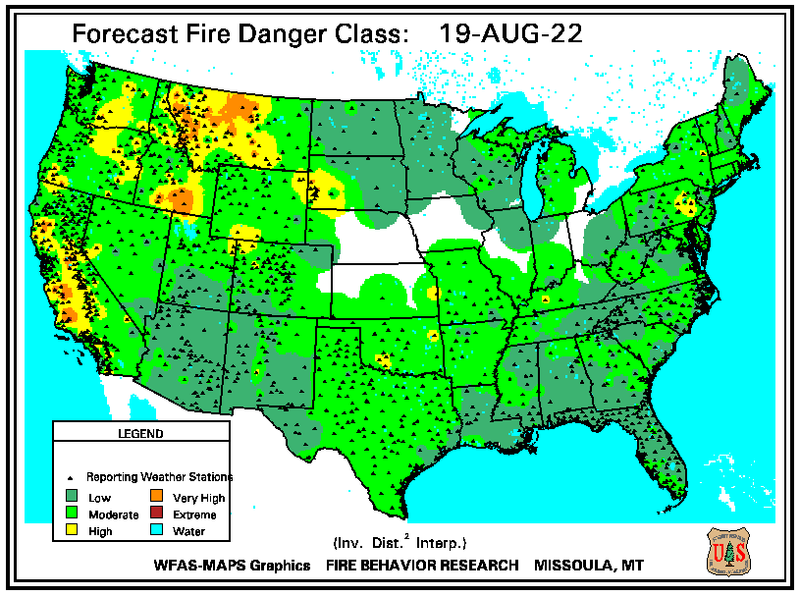 But you don’t need drought to have a fire. All you need are dry conditions, fuel, and a spark. 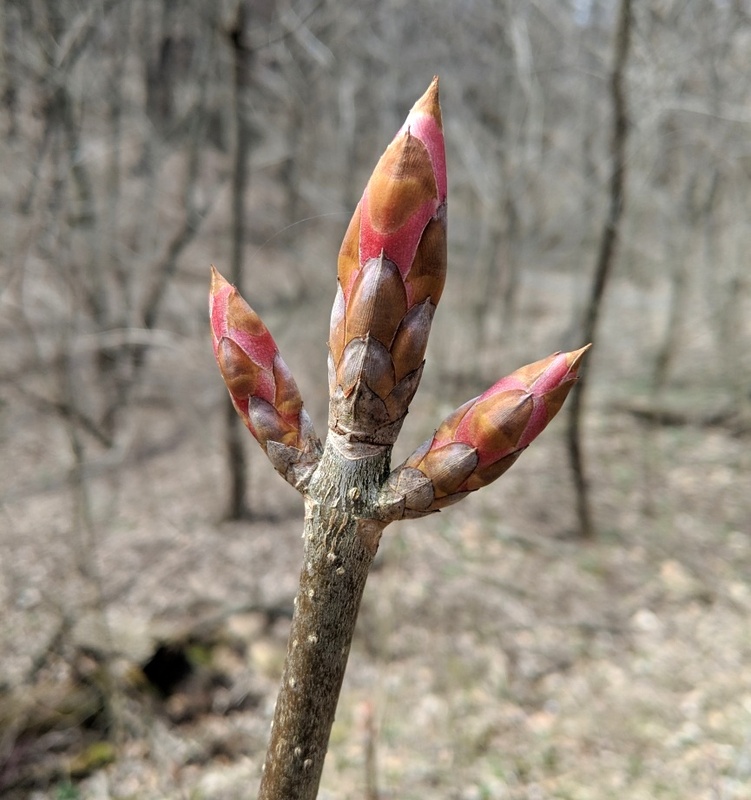 In Pennsylvania we have all three in the spring: low humidity, gusty winds, and lots of old leaf litter drying out in the sun. The spark comes from people. 98% of Pennsylvania’s wildfires are caused by people and most of those are caused by people burning debris. 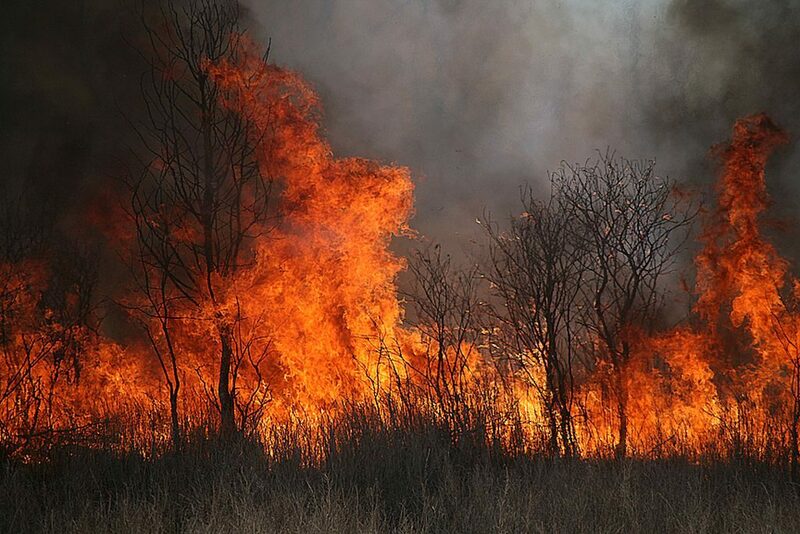 On a sunny windy day those fires blow onto dry grass and escape to the wild. 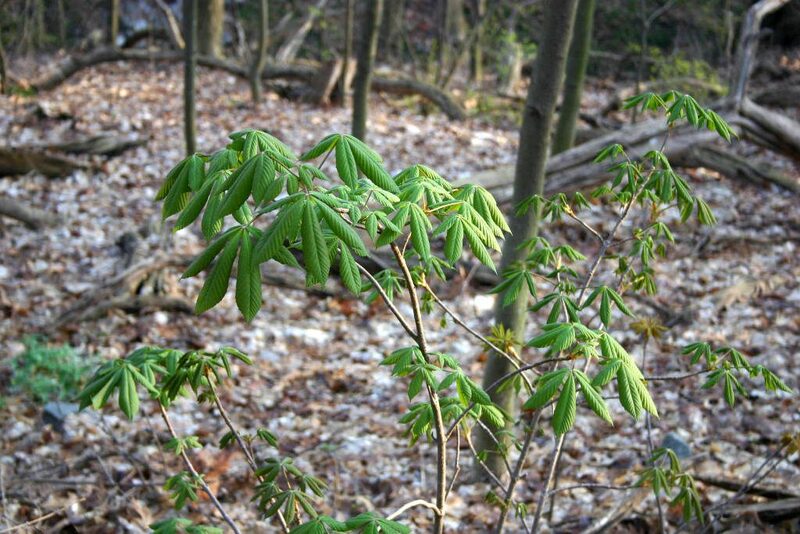 In April 2016 more than 10,000 acres burned in Pennsylvania. If you live in a place that allows outdoor trash burning be careful out there! Spring is Pennsylvania fire season. Note: Allegheny County does not allow outdoor trash burning. 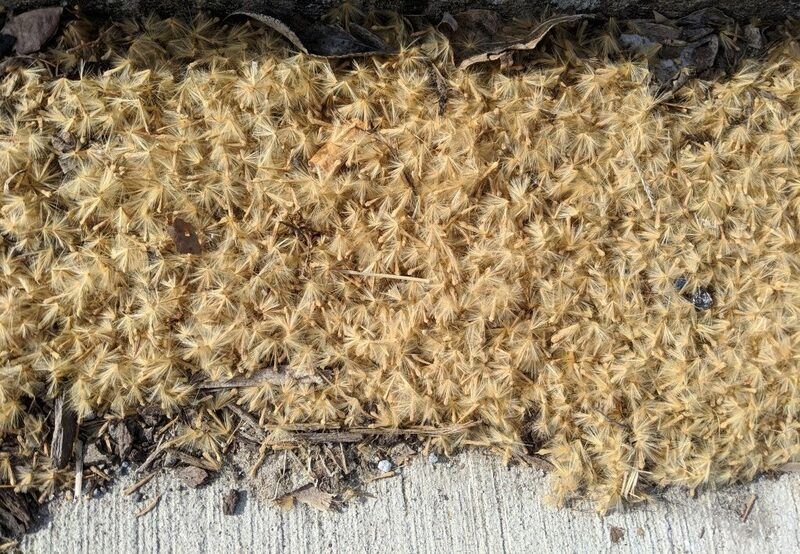 Last week I found fluffy drifts on the sidewalks in my neighborhood. 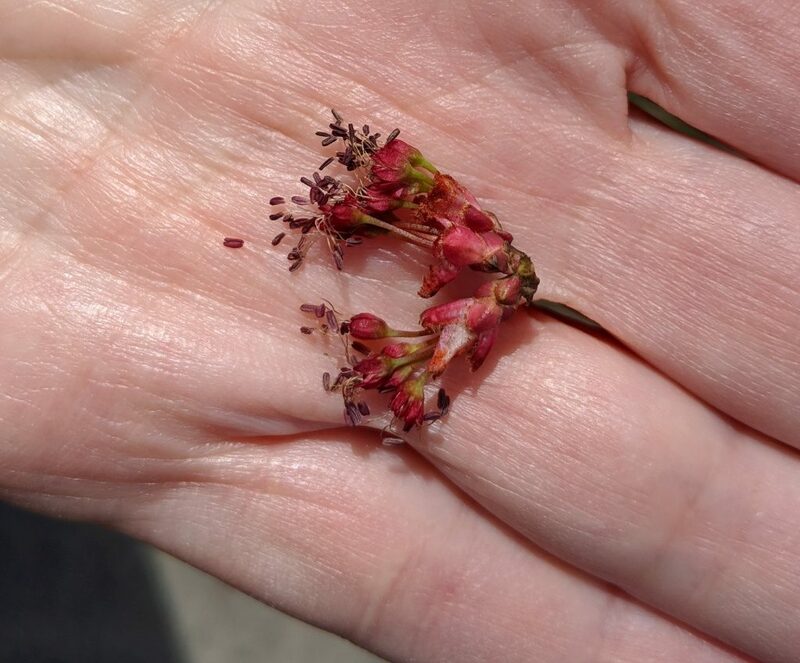 They’re the airborne seeds of London plane trees (Platanus × acerifolia), planted in Pittsburgh in the late 1800s because they’re tolerant of air pollution. 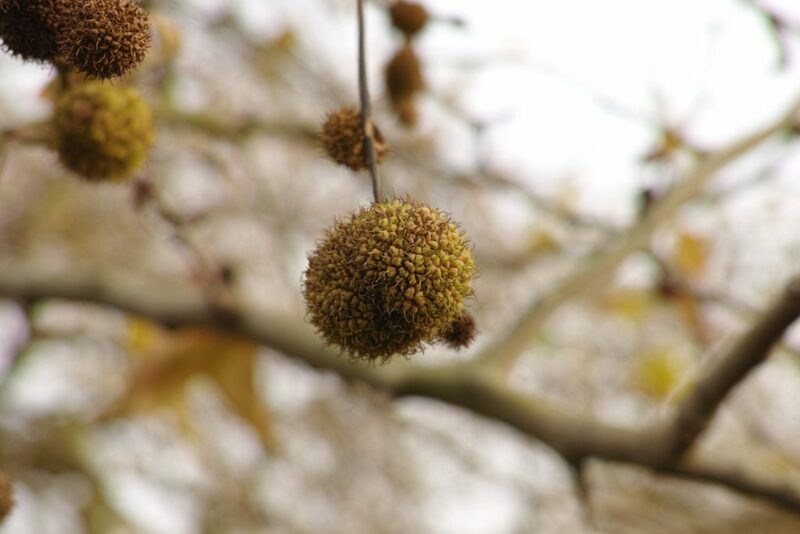 Like their parents — oriental plane tree (Platanus orientalis) + American sycamore (Platanus occidentalis) — London plane trees retain their dangling seed balls over the winter. 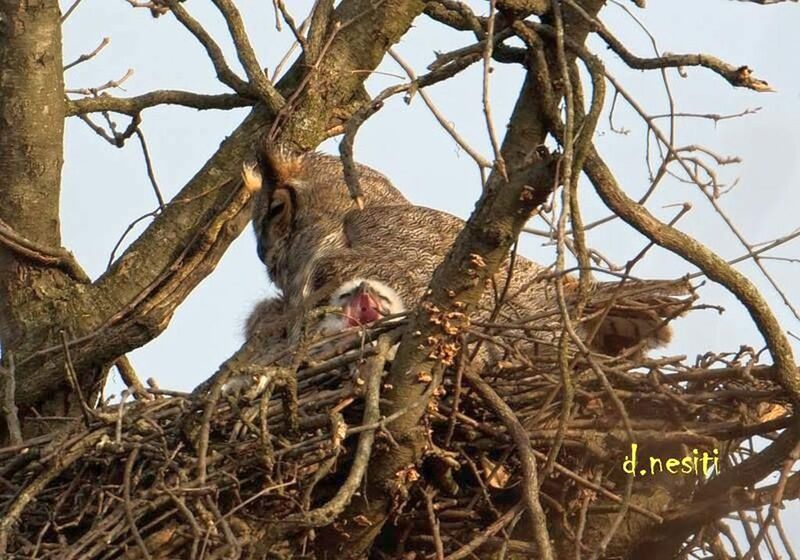 Then in the first warmth and light of spring the seed balls disintegrate and the seeds blow away. 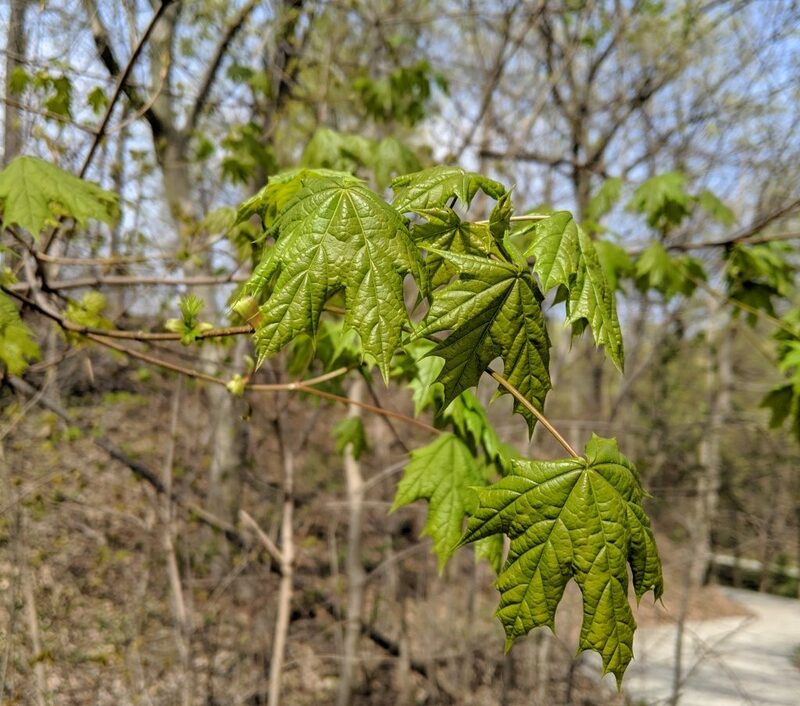 You’ll find drifts near American sycamores, too. 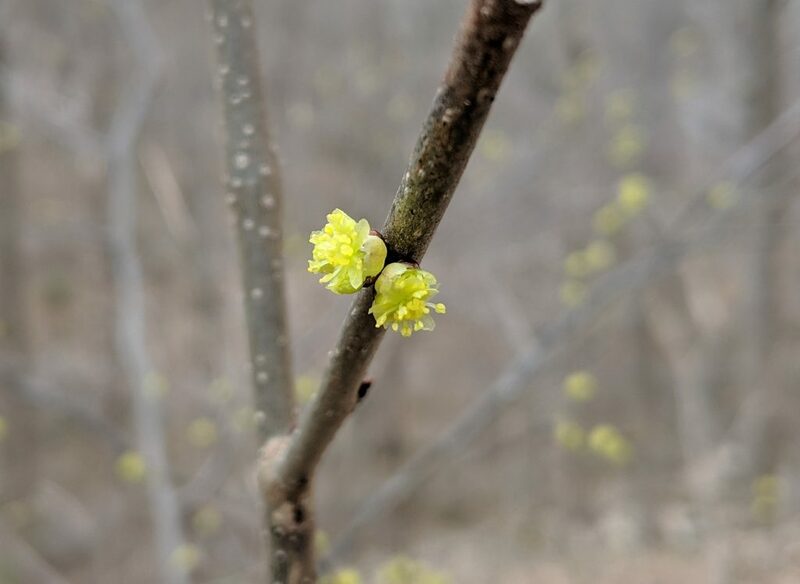 In March the trees are snowing. 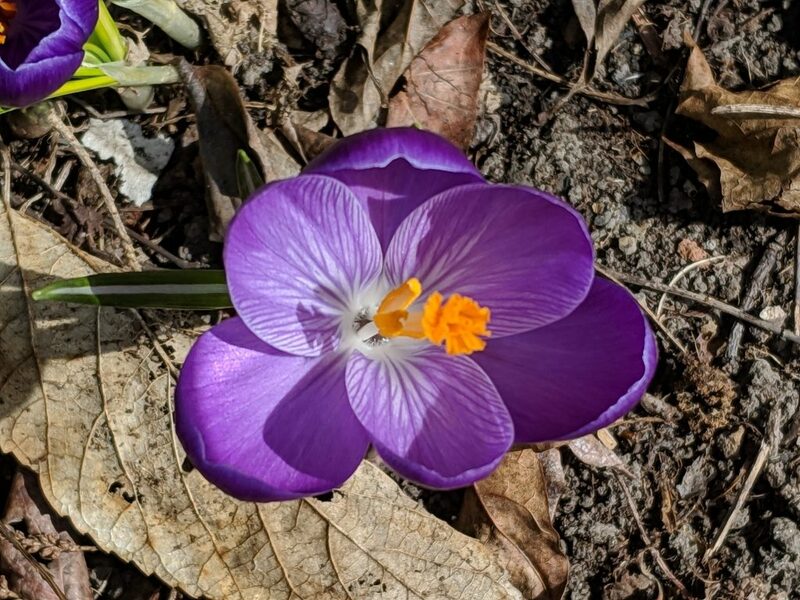 Everything else was brown on the First Day of Spring but I found this crocus blooming in my garden on Wednesday March 20, 2019. Yesterday the crocus was shut tight while it snowed. What will today bring? 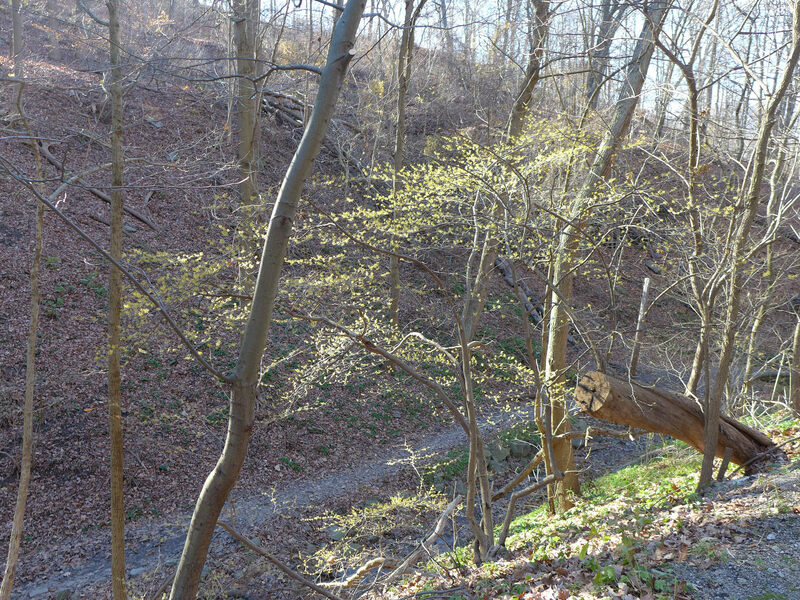 When the leaves are gone these lacy flowers stand out in the forest. 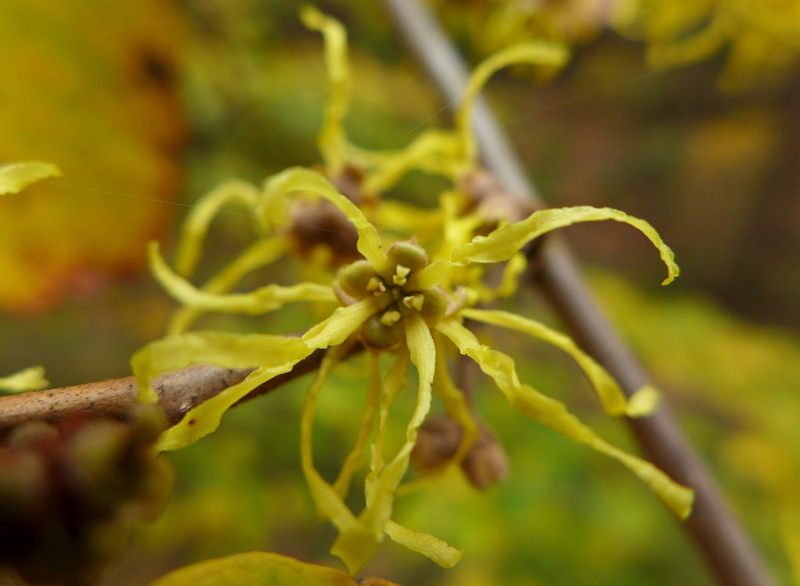 American witch hazel (Hamamelis virginiana) blooms from late October into December in eastern North America. 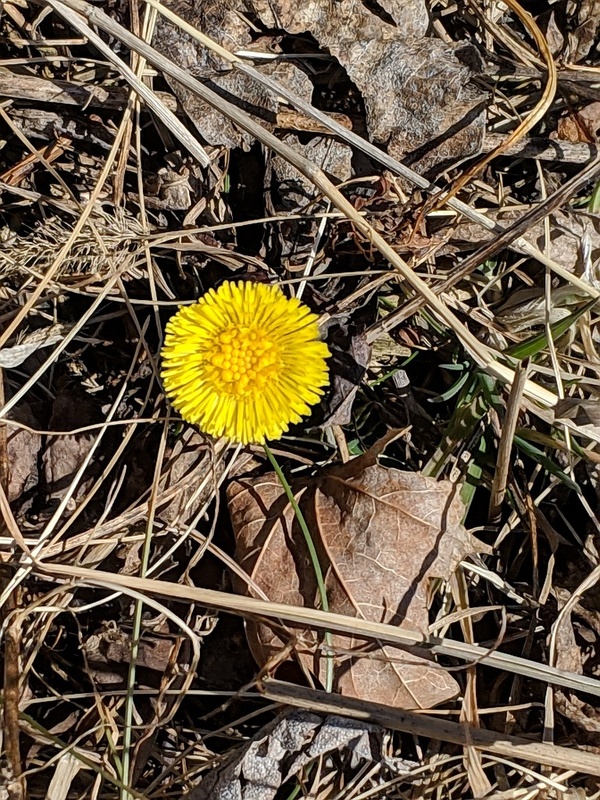 Its delicate yellow flowers smell like lemon. 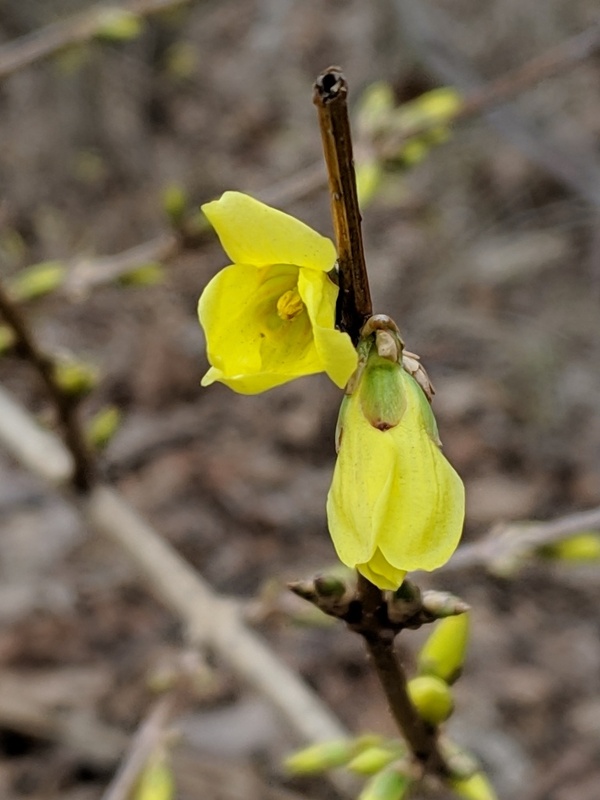 Since witch hazel blooms when few insects are out how are the flowers pollinated? 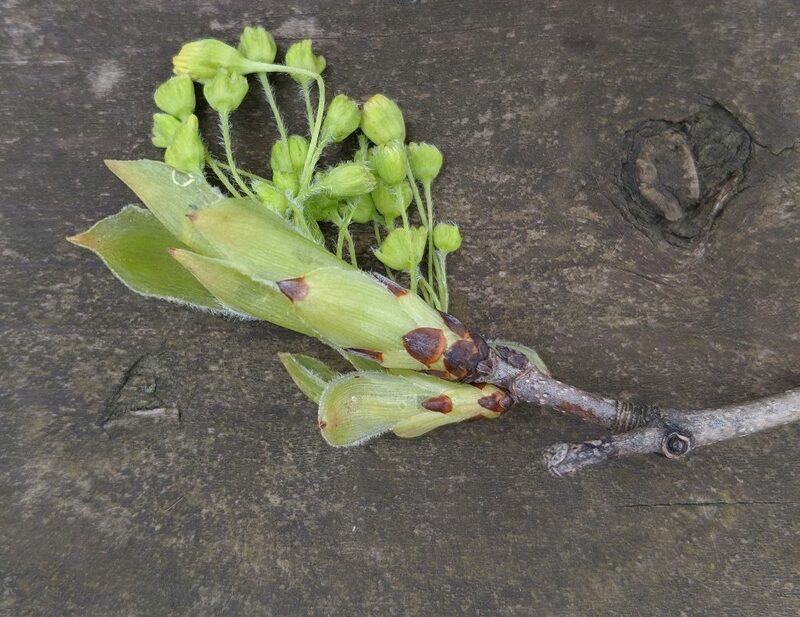 In 1987 Bernd Heinrich found that owlet moths come out at night to sip the flowers and thereby pollinate them. 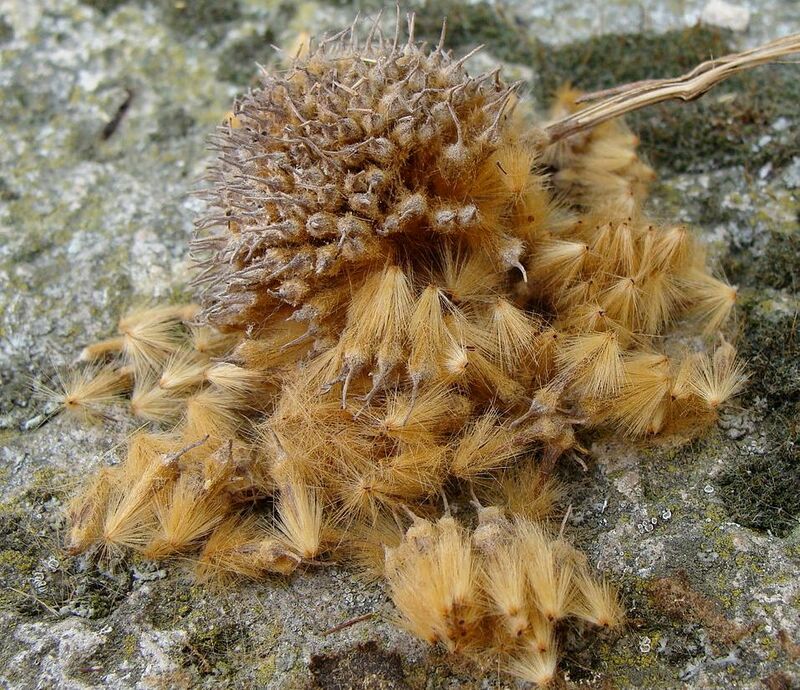 The moths survive cold weather by hiding under leaf litter during the day, then shivering to warm up and fly at night. Click here to learn more.